A place for books and conversation. When I looked up “must read fantasy novels” I found a variety of opinions. Recently I decided to take a look and see what everyone thought was the best fantasy fiction out there, and there was a lot of cross-over: The Wheel of Time, The Mists of Avalon, and The Dark Tower series to name a few. I’m a bit of a fantasy fan, but to be honest I’m also really skeptical. It’s just so easy to fall into a cliché with wizards, magic, elves, and dragons. It would be accurate to say I’m picky. I want to read things that create new pathways in my imagination. New worlds and new stories that prove there are still some new ideas out there. 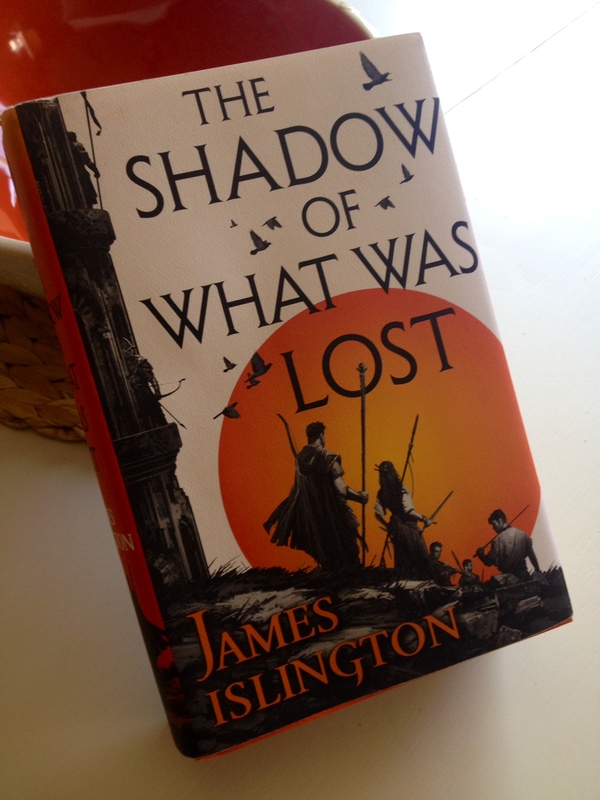 So with out further ado, if you like Robert Jordan, Brandon Sanderson, or any fantasy for that matter, than you are going to love James Islington’s debut novel, The Shadow of What Was Lost. Once those known as the Gifted ruled all the land south of the Border; but twenty years ago their power was crushed, their leaders (the Augers) were killed, and the Gifted were subjugated under the control of the four tenants. Now a power from beyond the Border is stirring. Damien, a boy with the power of the Augers, is forced to flee his home and seek out a mysterious group with the promise that they will help him develop and control his powers. Meanwhile, Caeden, a boy with no memories, finds himself in the woods covered in blood. As these two begin to discover who they are their actions begin to alter the course of the world. It’s so hard to write a description for a book like this. There are so many moving parts that it’s impossible give the book justice. For those of you who have been reading my blog for some time will know, I’m a character guy. I’ve met many individuals who are plot people, some are world-building enthusiasts, but for me it really comes down to the characters. You can have a regular world, with regular stuff going on, but if you have bad characters than the whole thing comes crashing down in a big literary mess. James Islington had a lot going on. The plot was detailed and complex, the world building was great with new religions, races, and philosophies, but it was the characters that pulled it all together. Sometimes it’s easy to skimp on some of the characters by making the main ones dynamic and deep in order to hide the static lesser characters from view. Islington provided great detail for all the characters, giving them all dynamic personalities and a variety of struggles that deepened them as individuals and as cogs in the greater mechanism. If you’re struggling to find good fantasy that doesn’t feel cliché or over done than take a look at The Shadow of What Was Lost. There’s so much fantasy that it’s so easy to overlook some of the great stories. Don’t miss this one. You’ll have to wait a little bit for the second one to come out, but it’s so worth it and you’ll be that much more excited for August. This entry was posted in Book Reviews, Fantasy, Fiction and tagged Book, Characters, Epic Fantasy, fantasy, fiction, James Islington, Magic, Review, The Shadow of What Was Lost. Bookmark the permalink.